Please refrain from wearing scented products or perfumes. Who: Anyone who would like to reduce stress and relax. 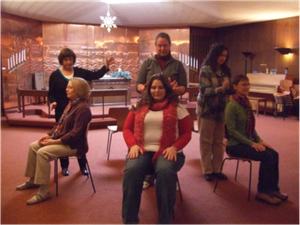 What: 20 minute group healing sessions from Reiki Masters, Practitioners and other Healing Arts Professionals that invite physical, mental, emotional and spiritual healing. Why: Because you and your loved ones are worth it.